Few West Coast innovators of guitar gear have been as legendary as Alexander Dumble, the California amp technician turned architect of the iconic Dumble Amps, born in the 1970s. Today, amps like the Dumble Overdrive Special or Steel String Singer fetch prices in the tens of thousands of dollars, making them only reachable to most guitarists in their rockstar fantasies. 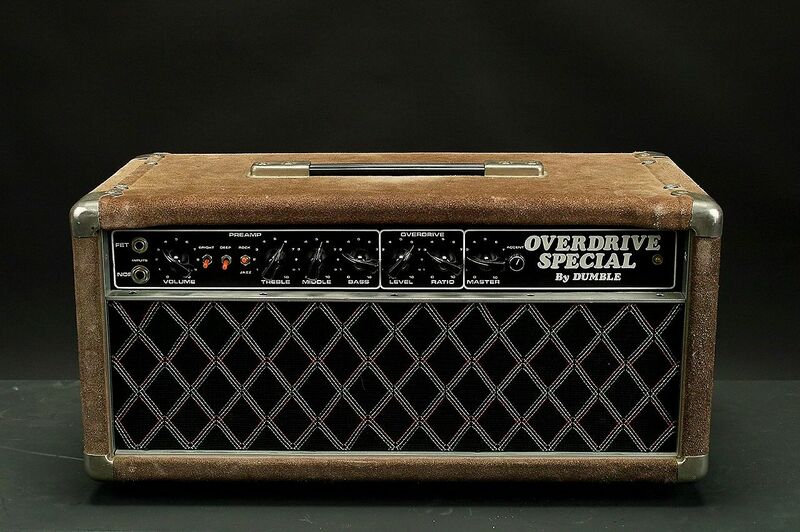 Despite the lofty price tag, chances are that many of us are familiar with the Dumble sound. This is thanks to players like Robben Ford, Stevie Ray Vaughan, and John Mayer (to name a few) who use them in the studio and on stage. So what does a Dumble sound like? You tell me. In a way, the sound is best described by what it’s not. Dumble tone is unlike Marshall blues grind or rock roar, not quite in the realm of Vox chime, and is at best a distant cousin of the springy pop of a Fender. One common strand to most descriptions of the Dumble tone is that it enables players to sound more like themselves, which is at once an inspiring prospect and a potentially terrifying quality for the loud maker on the other end of your patch cable. So if you’re ready to venture into that realm and explore how the Dumble sound might ignite something new in your gear setup, the following provides three prescriptions for achieving economical variations on the Dumble sound with household stompboxes, boutique effects, and software-based modellers. Every amp and pedal has its sweet spot. One of the innovations of many Dumble amps that contributed to their ability to push gain without compromising clarity was an internal passive EQ before the overdrive section. Part of the characteristic Dumble sound comes from the tonal shape of that EQ that was rounded in the mid-range. This creamy, mid-rich sound can be readily heard in full-fledged Dumble clones like the Van Weelden Royal Overdrive or equally effective simpler solutions like the Mojo Hand FX Dmbl or Mad Professor Simble. But can it be MacGyvered on the cheap without hiring a clone? The first step in chasing down the Dumble drive is to recreate that pre-gain EQ circuit on the floor using a common graphic equalizer pedal – such as the Boss GE-7 or a MXR EQ of the six or ten band variation – before a vintage voiced overdrive pedal, like the Boss Blues Driver BD-2. Arching the EQ’s frequency sliders into subtle variations of a bell curve has an accentuating effect on the 12 o’clock sweet spot of the Blues Driver. The result? The already warm, classic overdrive is pushed into compression similar to the profile of the Dumble. This approach to achieving something like the fabled mid-rich Dumble sound is also a great experiment for fans of the equally famous yet distinctly different mid-hump profile of the Ibanez Tube Screamer. Benefits of this setup: Much like the Dumble’s fabled ability to make players sound more like themselves, having full control over the EQ enables you to craft a sound that is Dumble-like but all your own. At least part of the inspiration of what Alexander Dumble crafted into the tone of the Overdrive Special was the sound Robben Ford achieved by running his rig into the front end of a cranked Fender Blackface amplifier (likely a Super Reverb or Bassman). While the price point of the Overdrive Special is out of reach for most, the ratio of original or reissue Blackface amps to Dumbles is about a billion to one and they come at a fraction of the price. More economical still are Blackface-in-a-stompbox options, like the Boss FDR-1 or the Wampler Black ’65, both of which offer superb sounds modelled after classic mid-sixties Fender amps. On their own, these land in the ballpark of something Dumble-esqe, but it’s possible to inch even closer to that sought after tone by tag-teaming with the right compressor pedal. Similar to the EQ pedal solution above, a compressor pedal can help round out the edges of your guitar signal before it interacts with the Blackface clone to provide an inviting Dumble-type tone at the edge of clean breakup. Of the myriad of compressors that could work in this setup, my money’s on the Xotic Effects SP Compressor. Despite its small footprint and price tag, the SP has a surprising range of controls including a blend knob to dial-in the (un)affected signal and a three-way toggle-switch to manage degrees of compression and sustain. When paired with a Blackface clone, this tiny pedal brings a certain snap and definition that aids in finding that glassy Dumble sound. Benefits of this setup: Not only will this combination provide the responsiveness of a tube-type Blackface amplifier, it also overlays that tonal platform with a bit more punch and clarity – not unlike the contour of the Dumble clean channel. But what if a Dumble on the floor is not what you’re looking for? Maybe you want to stare down the front end of the parameters of Dumble and toy with it inside and out. You’ve got three options: buddy up to John Mayer, pick up a Dumble amp clone, or go digital. In the expansive world of modelled and modded amps in the Positive Grid BIAS Amp Desktop is the ’67 Dumble Clean. 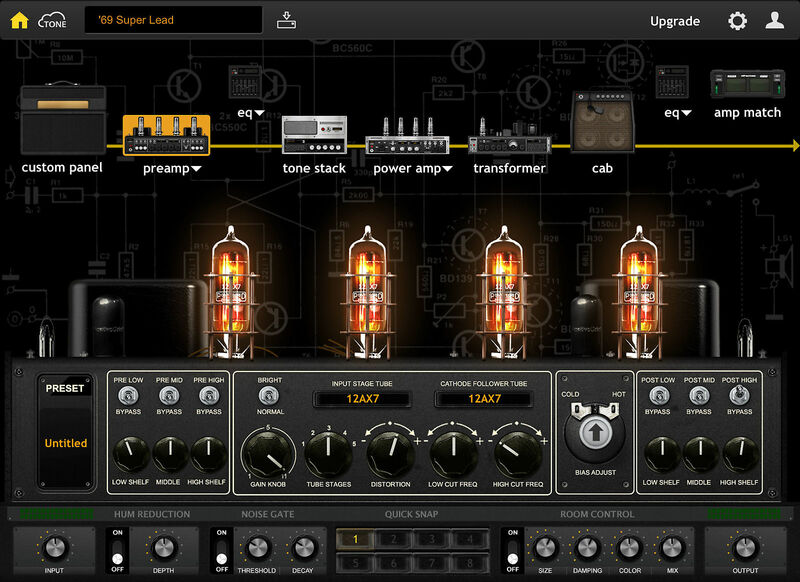 This digital Dumble clone is customizable along much of the same parameters that you would find on the front end of a classic Dumble amp. Yet the added benefit here is that the program allows users to intuitively expand and reconfigure the original tonal architecture of that glassy Dumble sound by combining it with a huge range of other digital renditions of gear – from preamps, to pedals, to cabs, and mic placements. Compatible with a variety of digital interfaces (including Ableton Live), this high tech Dumble prescription puts the Dumble at your fingertips and is a great option for taking a classic sound in entirely new directions. Benefits of this setup: It offers expert emulation and a horizon of digital experimentation for tech-savvy players looking to recreate Dumble sounds live and in the studio. Most of us are more likely to meet the fabled Dumbledore than play a famed Dumble amp. Yet the sound of the Dumble is unmistakable and attainable with a little experimentation and creativity. So, until your lottery winnings kick in, why not add a dash of Dumble flavor to your pedal board using one of these three solutions.